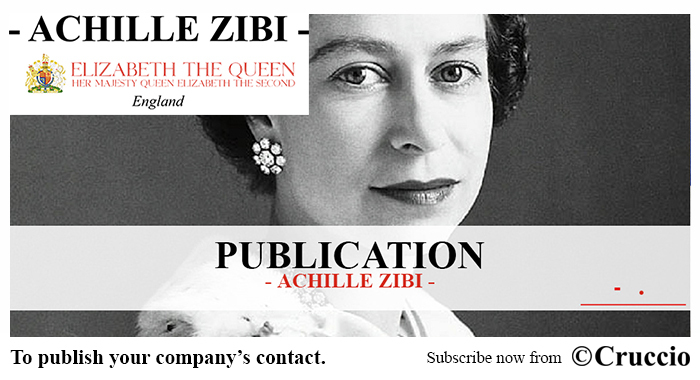 1 year subscription to Achille Zibi - Elizabeth The Queen. Your company's data published on ElizabethTheQueen.com for 12 months. 7) a link to your company's website. (www.elizabeththequeen.com) Promote your business! Publish your company's contact on ElizabethTheQueen.com. and accounted by ACHILLE ZIBI ENTERPRISE as operating profit. The subscription to elizabeththequeen.com, the use of the Internet or this website for communication with the Company or any individual member of the Company, does not establish a celebrity-customer relationship. You must login to buy! Please be aware that Cruccio.com charges a 5% transaction fee. Copyright © 2013 - 2019 ACHILLE ZIBI. All rights reserved.